But it was so good. The geoduck was fresh and sweet, and crunchy. The chili soy sauce for dipping added a great flavoring to it also. The sea cucumber stomach was excellent also. Crunchy. This dish is a bargain at $10.95. My mom loves it. Red Star has the Roast Duck with Lai Fun on special almost everytime I’m there. 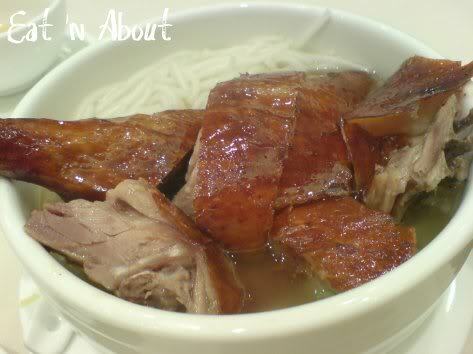 It’s $5.50 and it’s pretty good, although the quality of the duck pieces vary obviously. The first time we went it was great, very meaty. The second time, they were kinda skinny. 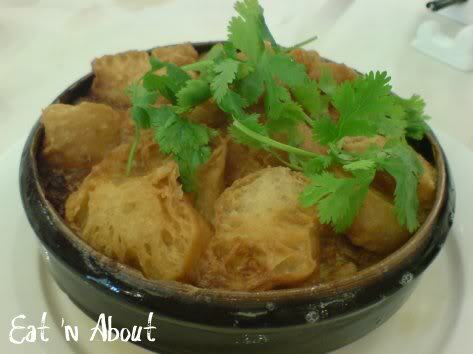 But the soup base is simple and good, and the lai fun are chewy and just the way they should be. This is the dessert we had the first time we were there. It was literally translated to Almond Glacier Bun. It was AMAZINGLY good. 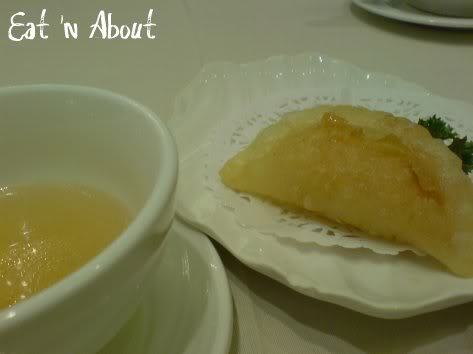 The filling was an almond paste filling, much like the almond tea drink but a bit thicker. It was wonderful. Too bad they don’t offer it anymore, as I assume their dessert menu changes every now and then. That’s really unfortunate. However I thought I’ll still recommend it in case it comes back in rotation. On our other visit, it was with my aunt and uncle from the States. Mom and aunt saw another table ordering this and they got all excited. 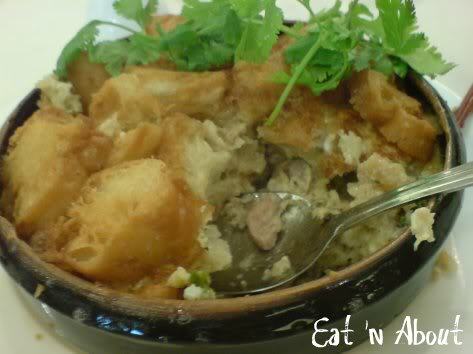 It was the Old-Style Baked Fish Stomach. They were pretty nostalgic when they saw it. They had to order it immediately. Mom claimed it was made exactly the way they do in Hong Kong back in the day. However, both of them said that the texture could be smoother. They thought it was baked too long causing the egg custard part to be a bit coarse in texture. I tried it, as I’m really up for anything. They warned me it may be fishy and it was. That’s why when this came they also brought along a pepper shaker, to take away the fishiness. I didn’t enjoy it as much but I’m glad they did. It’s always funny to see “older” people get all giddy about something they had when they were a child. 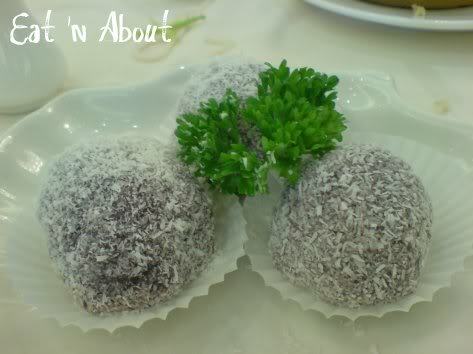 In the same visit, the dessert we ordered was the Purple Rice Ball. It was damn good. I’m beginning to think they make quite good desserts here. 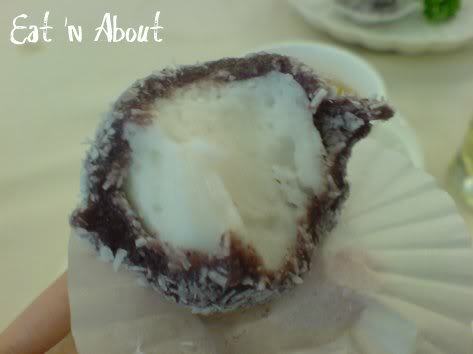 What is was, was purple glutinous rice stuffed with coconut pudding. Very refreshing. 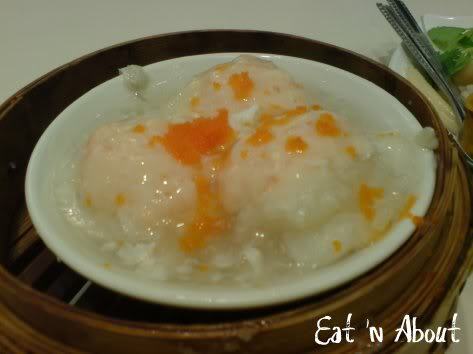 We do find that the dim sum prices here are a bit more than other places, so we don’t come here often. 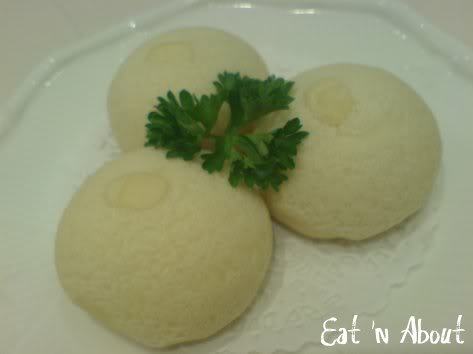 But nonetheless it’s a great place for dim sum. Hmmm… I haven’t been to Dim Sum at the Richmond location. How does it compare to the Granville one?